700 guests arrived from all over the world to sample the best Italian luxury and lifestyle. The Azimut/Benetti Group 2015 Yachting Gala has just taken place in Portofino. This annual event is dedicated to enthusiasts of yachts designed and created by brand names belonging to the Azimut|Benetti Group who are world leaders in the sector and the only Group to be under full Italian control. Over the weekend of 27 and 28 June, more than 700 international clients were welcomed by the Group and other iconic names in Made in Italy luxury such as Damiani and Maserati. 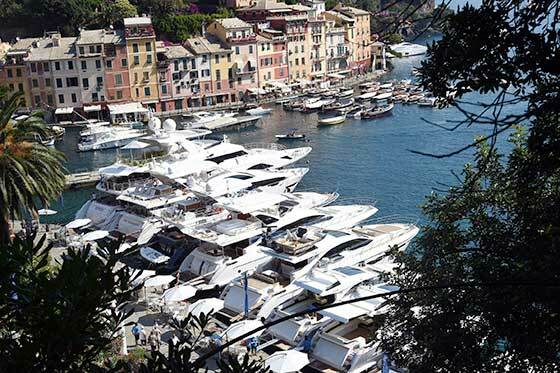 They spent two days in Portofino Marina and Paraggi Bay that were dedicated to seeing the best of the nautical world and to sampling the Made in Italy lifestyle. Another special event was the world debut of the new Azimut Magellano 66.